We are just about at the halfway point of the challenge! I am really enjoying it, but now I'm ready to wear some of these manicures for more than a day. Today's prompt is delicate print so for that, I used a new lace pattern stamping plate. Not sure if it actually looks like lace, but the pattern looks delicate enough I think. Sally Hansen - Brisk Blue for darker blue color. 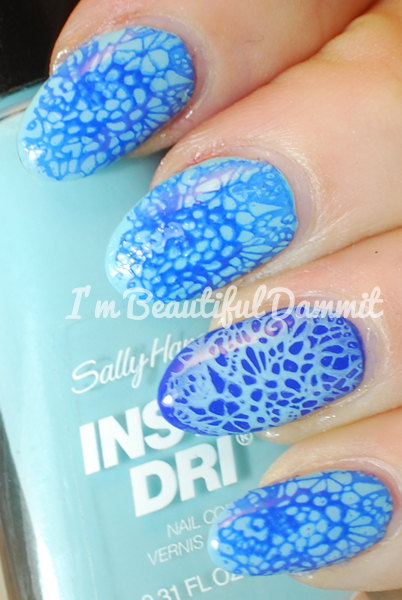 Sally Hansen - Blue Away for the lighter blue color.